Representing the family of Frank & Jesse James, The James Preservation Trust was contacted about participating in a segment of Deadliest Warriors, produced by Spike TV. The program pits Al Capone against Jesse James. The interview with Eric James, president of the Trust, identified several hurdles that prevented the James family from participating in the show. Strike one for Spike TV. Spike previously shot itself in the foot with the James family. Formerly in another program, Spike TV advertised that motorcycle celebrity Jesse Gregory James, aka Jesse James, was a direct descendant of the outlaw Jesse James. 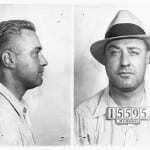 Although the Trust has a standing invitation to the celebrity to produce his genealogy and a DNA test, Jesse Gregory James has produced nothing more than his fraudulent claim. In the view of the James family, the celebrity is a con man. And anyone who supports the fraudulent claim of Jesse Gregory James promotes fraud. Strike two for Spike TV. When pitching Deadliest Warriors to the Trust, the agent for Spike TV assured the Trust all efforts would be employed to maintain weapons and historical authenticity. As example, the pitchman then cited Jesse’s use of a Bowie knife and hangman’s noose. In fact, nothing in the historical record identifies Jesse James as using a Bowie knife or hangman’s noose, although a noose was used on Jesse’s step-father by Union soldiers as Jesse himself witnessed. Strike three for Spike TV. 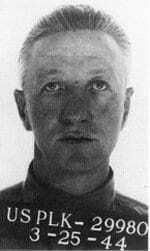 The reference James makes is to James Francis “Jimmy” Keating, a mobster of the Capone era who was an associate of George “Machine Gun” Kelly. Keating was from St. Paul, Minnesota. He robbed banks and trains throughout the Midwest down to Sherman, Texas, where Jesse’ sister lived. Keating’s son married Eleanor James, one of Jesse’s distant cousins. Spike TV’s match-up between Capone and Jesse James has struck average video reviewers as a stretch. Apparently, Spike TV delivered exactly how much it was ready to pay for.